Catch a train to Sydney’s Central Station, then walk down the revamped 1855 old railway Goods Line, once a thriving industrial site. Marvel at the contemporary UTS University, designed by the world renowned architect Frank Gehry. Walk onto the Darling Harbour Precinct visiting the wonderful Chinese Garden with its waterfalls and traditional features. Then stroll on to view the Darling harbourside broadwalk with cafes and restaurants. Take the escalator up to view an inspiring roof garden which is a maze of colour and texture and plant mosaics. Stroll on to Sydney’s only wooden swing bridge. Move on to the King’s Wharf to see the many cruise boats and then go to the new commercial and residential area of Barangaroo to learn about the latest environmental technologies of these buildings. 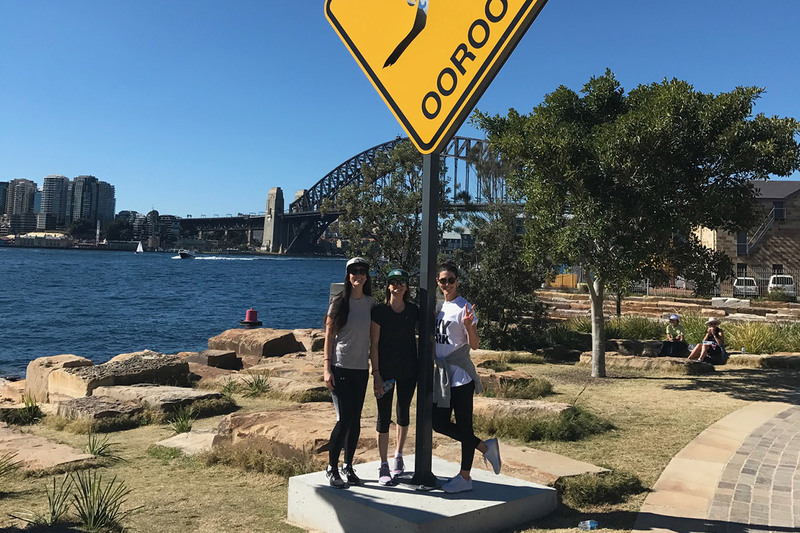 Walk down Hickson Road to the special Barangaroo harbourside landscaped parkland where you can wander through and discover some of Australia’s unique flora surrounded by hundreds of large multi-coloured sandstone blocks. Here there are great views of the Sydney Harbour Bridge and you will then walk by the old Walsh Bay Wharfs to hear stories of the early ships and sailors. Stroll into the historic Rocks area, the birthplace of the colony of Sydney. See narrow laneways, old warehouses, pubs and sense the life of early colonial times.